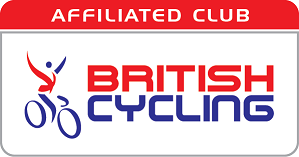 The Leisure Rides are ideal for anyone who is looking to try our club rides for the first time as well as those who simply want to enjoy a sociable ride. They are restricted to between 10 and 12 miles an hour over a distance of approximately 30 miles and aim to return to B&Q by 13:00. Meet at B&Q at 09:00 and then exit Plymouth via Plympton, Sparkwell and Cornwood. Then we’ll gradually climb up onto the Moor via Tinpark, Wotter, Cadover and Sheepstor. We may do a lap of the reservoir if everyone wants before heading to the cafe at Buckland Monachorum via Dousland and Yelverton. After the cafe stop we’ll head back for Plymouth via Yelverton, Meavy, Goodameavy, Clearbrook and the Plym Valley (Drakes) Trail back to B&Q. The distance is approximately 31 miles and the cafe stop is at the 20 mile point. The route may vary depending upon weather conditions. Usual YOGi terms and conditions apply, that is, you must enjoy yourself regardless of the weather. See you there!